Dr. Travis Thurman is a Bakersfield native. He attended Highland High School and earned his undergraduate degree from Cal Poly San Luis Obispo. He went on to veterinary school at St. George’s University while completing his clinical year at Texas A&M University in 2008. 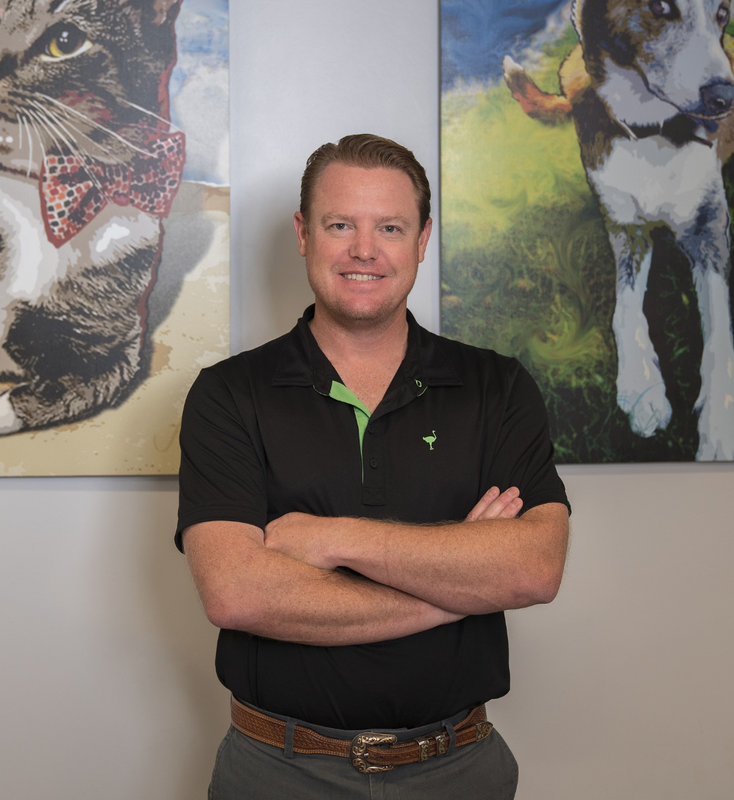 Dr. Thurman joined the staff at San Joaquin Veterinary Center upon his return to Bakersfield in 2008. After three years at SJVC, Dr. Thurman founded Thurman Veterinary Center in October of 2011. Dr. Thurman was raised around the livestock industry. He started in a local 4-H club at 8 years old and then joined the Highland High School Future Farmers of America (FFA). Throughout his show years, Dr. Thurman exhibited swine, cattle, and sheep. His family, Steve (father), Jan (mother), and Jennifer (sister), were also very involved with livestock. Even today, Dr. Thurman assists local 4-H and FFA groups with general wellness, management, feeding, and animal health. Dr. Thurman enjoys spending his free time with his daughter Collins and in the company of his Australian Shepherd- Zoey, his Scottish Fold cat- Pabst, Freckles the Quarter Horse and numerous cows/calves, either at his home or the family‘s ranch in Pozo Flats. Dr. Thurman is truly living the dream. Not only does he spend every day caring for the animals that he loves, but he takes any opportunity to work on his family’s ranch, travel, fish, hike and he is a lover of all sports, especially snowboarding. 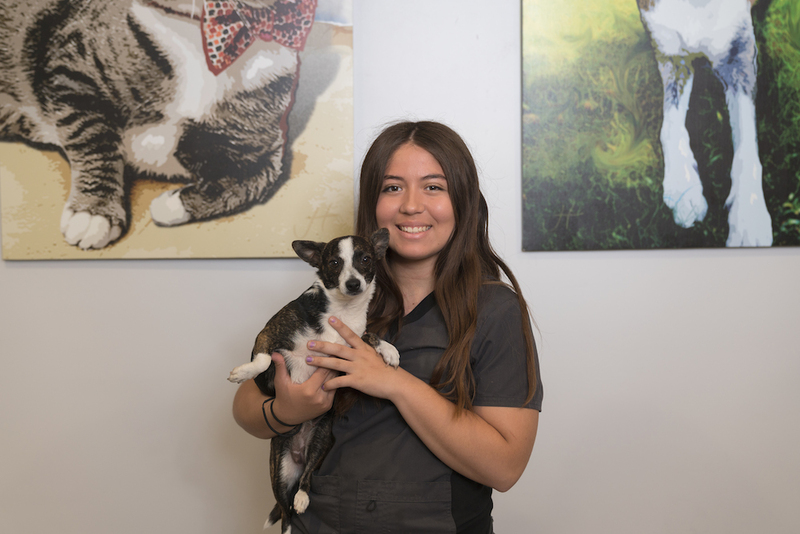 Jillian is our Office Manager at Thurman Veterinary Center. 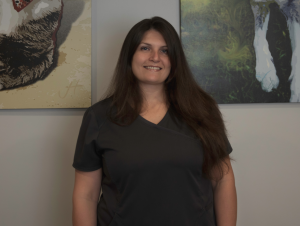 She has been with Dr. Thurman since our opening back in 2011. Jillian was born and raised in Bakersfield. She enjoys spending quality time with her husband, Wyatt, 2 children, and her three dogs- Piper the Australian Shepherd, Sofie- the Maltese, and Chubbs the mixed breed firecracker! Marissa is our receptionist. 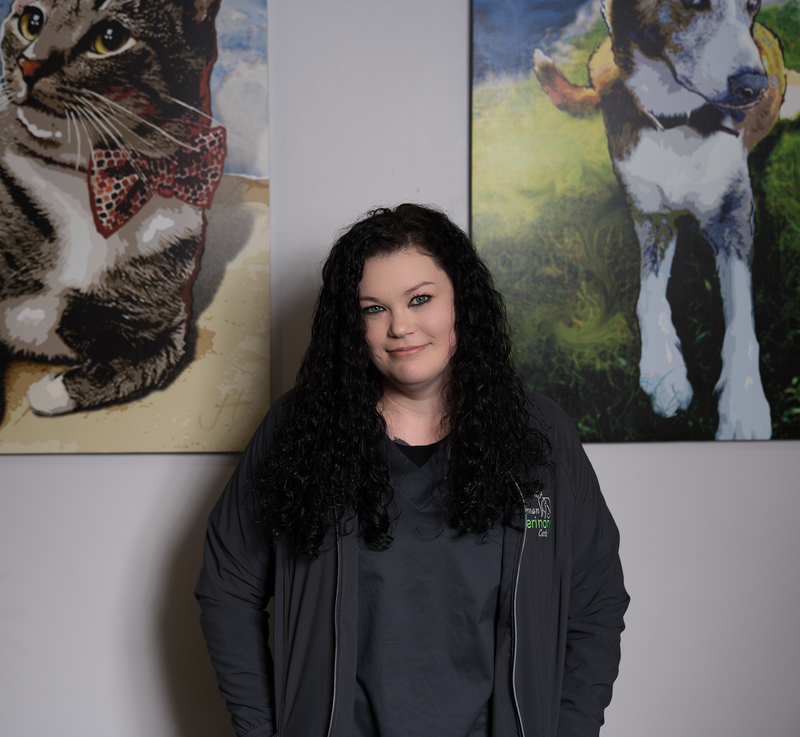 She has many years of experience in customer service and is excited to call Thurman Veterinary Center her home. She is fun loving and energetic. She will go out of her way to make sure you have a positive experience. When she isn’t in the office she is spending time with her husband, Mitch, and their two fur babies- Shmee the Cat and Gene, the Mini Australian Labradoodle. Jeanette is our second receptionist. She grew up in Bakersfield and is currently raising her two children, in our wonderful city. She loves spending time at the park with her children, her spunky, Malti-poo, named Dallas,and the newest member of her family, an Australian Shepherd named Kona. Rachel is our third receptionist. 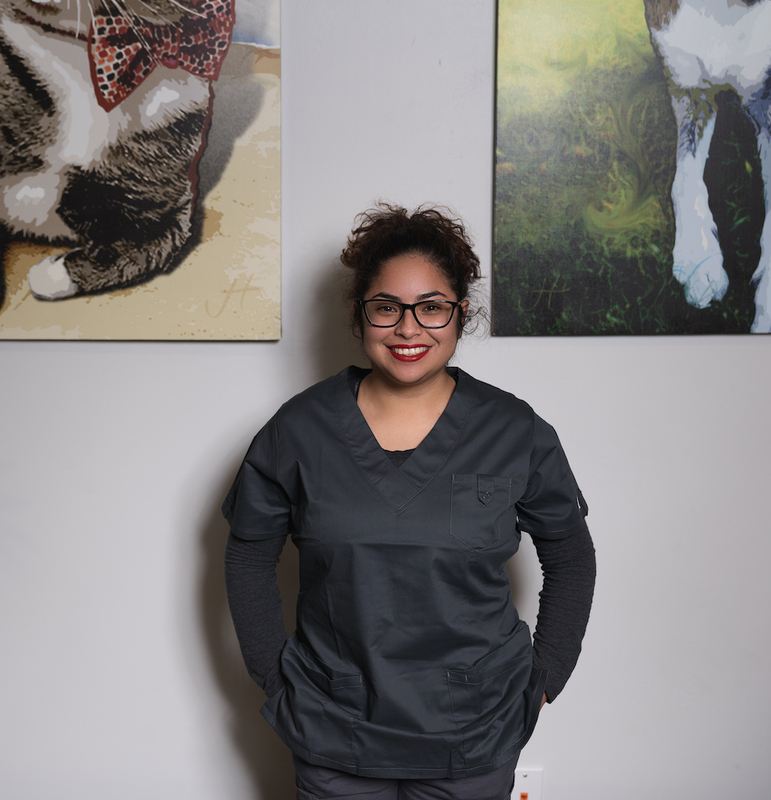 She is currently a student studying Biology and one day hopes to pursue a career Veterinary Medicine. She spends her free time with her boyfriend in the great outdoors- she loves hiking, kayaking, and surfing. She currently has a step-cat named Creamsicle and a Bearded Dragon (lizard) named Pickles. Janice is a Veterinary Technician at Thurman Veterinary Center. She is born and raised in Bakersfield. After high school, she moved to Texas for ten years. 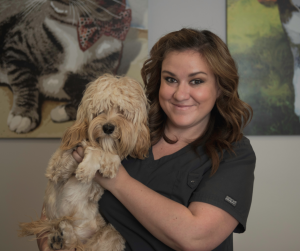 Soon after returning to California, she joined the staff at Thurman Veterinary Center. She is our resident cat lover. She loves spending her time with her husband, Ryan, two cats- Burt and Ernie, and their two Boxers, Belle and Khloe. Kandice is one of our Veterinary Technicians. She grew up in Bakersfield and has decided to make this city her permanent home. 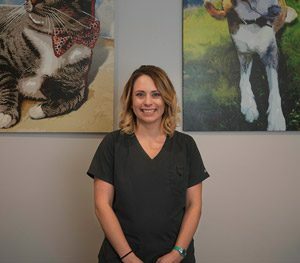 She is a Registered Veterinary Technician and has spent the last 10 years doing what she loves- working with cats and dogs! She spends her free time with her 2 beautiful children and her brood of furry family members- three dogs: Missy, Mokee, and Elvira and two cats: Kolbi and Buffy. Melissa is a Veterinary Assistant here at Thurman Veterinary Center. She moved to Bakersfield from Los Angeles to pursue her degree in Animal Science. 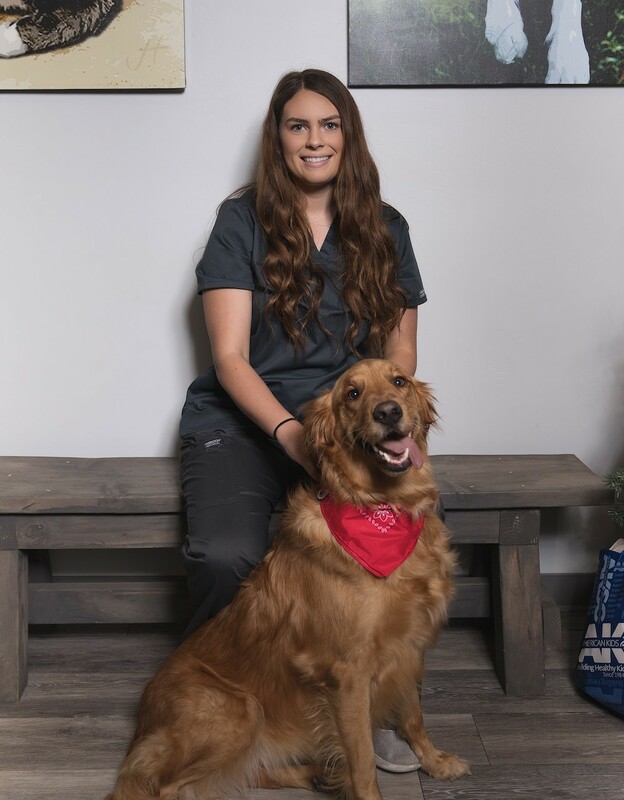 She graduated with her degree in 2017 and completed her Certified Veterinary Technician courses. When she isnt here spending time with furry friends, she is out on her family ranch spending time with the cats, dogs, horses, and cows. 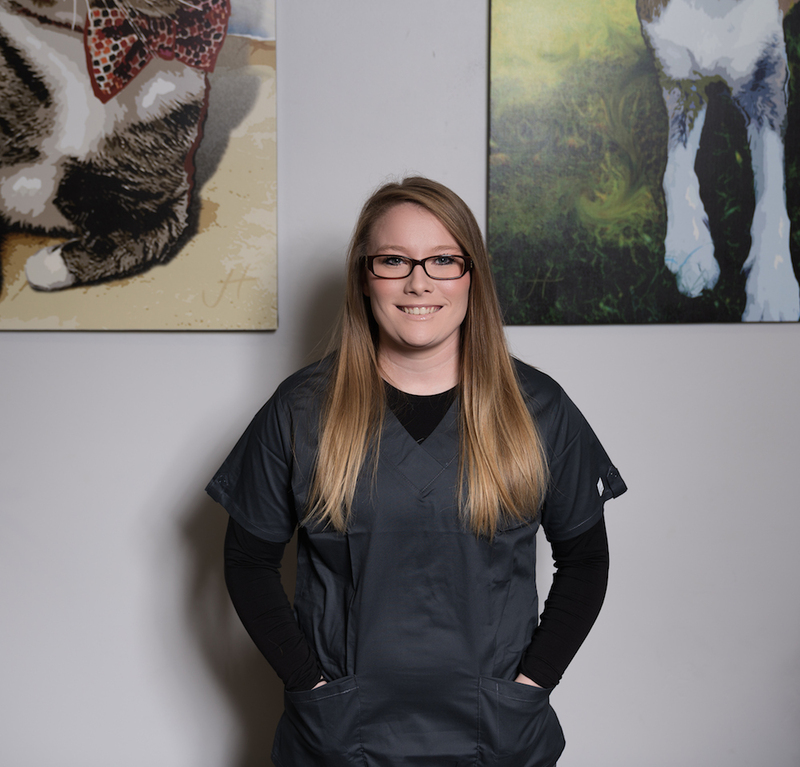 Stephanie is a Kennel Technician here at Thurman Veterinary Center. She was born and raised in Bakersfield and loves to spend time with her Husband and step-son. She has 3 rescue babies that she loves very much! 2 Staffordshire Terriers named Luna and Blue, and a little mixed puppy named Pepper. She is so excited about joining the team here at TVC and proud to be helping out animals of all kinds! 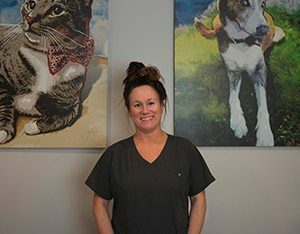 Renee is a Kennel Technician here at Thurman Veterinary Center. She is currently in high school, but animal education has been her passion for most of her life. She has lots of different furry family members, as well as farm animals to look after. Renee hopes to continue going to school and to pursue a future in Animal Science. 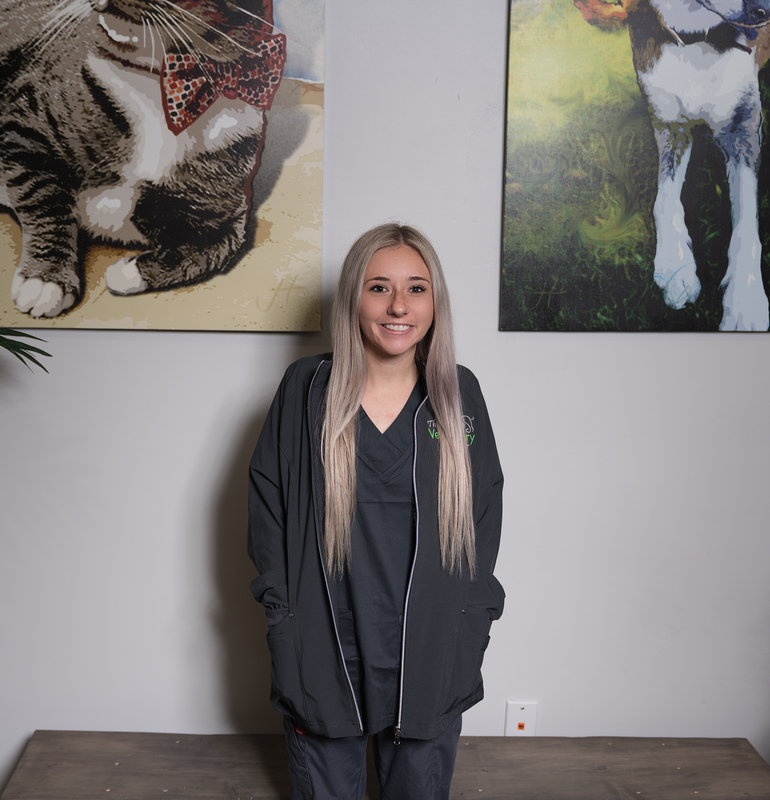 Brittany is a Kennel Technician. 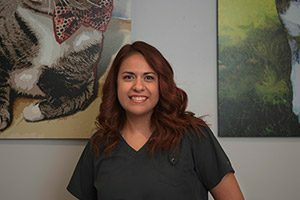 She went to school at SJVC and graduated the Veterinary Assistant Program. She has made Bakersfield her home, and spends her free time with her cat- Love. 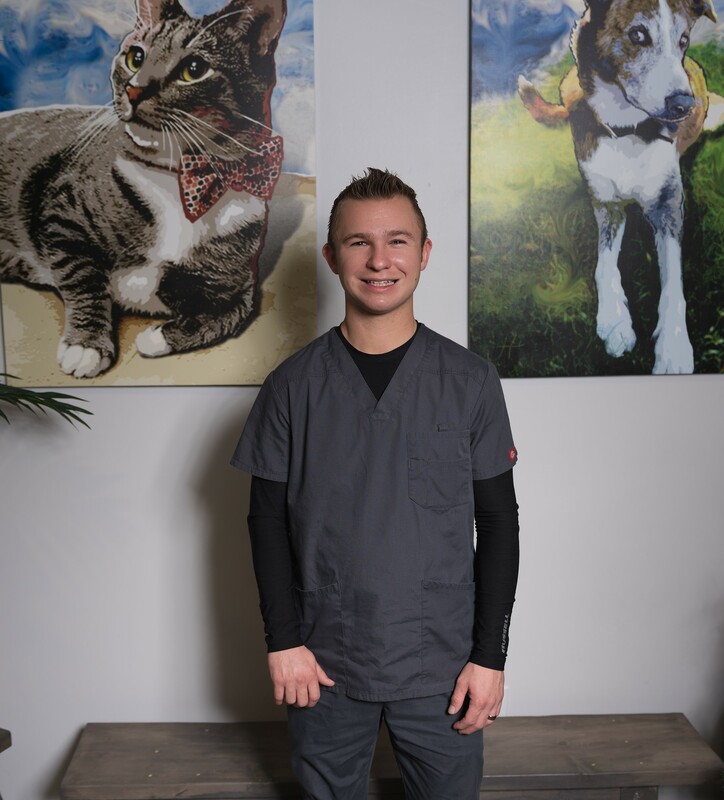 Garrett is Kennel Technician at Thurman Veterinary Center. He is originally from Spokane Washington and recently moved to Bakersfield California. He has a passion for pets and decided to join our team! In his spare time he likes to spend time with his partner and their 3 fur-kids Meika, Houdie, and Raider. Karli is one of our newest Kennel Technicians. She has lived in Bakersfield her whole live with her Mom, Dad, and Brother. When she isn’t here, she is studying away pursuing her degree. She loves spending her free time with her Golden Retriever Sadie and showing and raising rabbits.